With the UK’s recent introduction of a sugar tax, and similar measures taken across the globe, the beverage industry is having to redefine its relationship with sugar. Several companies have reformulated their products and others are looking into sugar alternatives or raising prices to account for the tax. 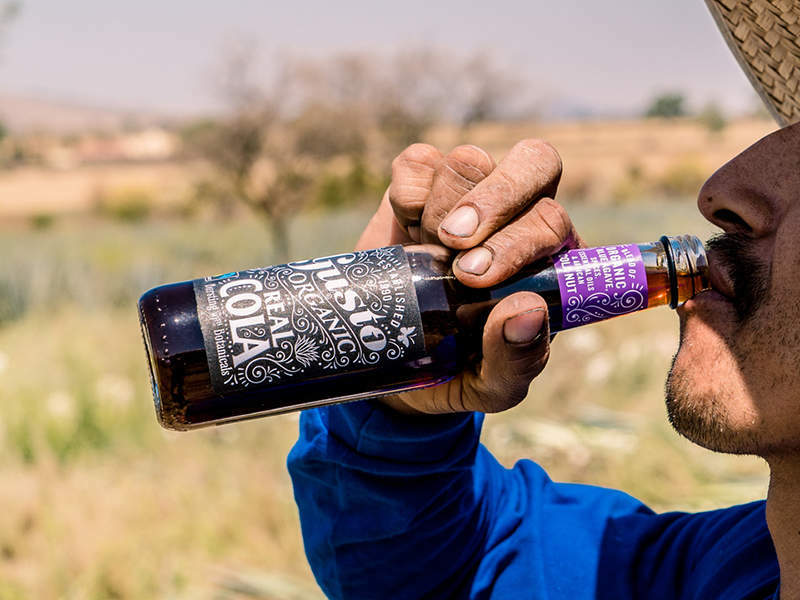 Will Fugard, CEO of Gusto Organic Drinks explains the beverage industry’s relationship with sugar, Gusto's positioning as a healthy alternative, and drink trends. Callum Tyndall: To start broadly, where do you think the industry’s relationship with sugar currently is, and do you think the sugar tax could be considered a turning point? Will Fugard: The drinks industry has had to adjust to taxation that in policy and execution was hurried, lacked consultation and perhaps will not deliver as effectively as it could to the goal of reducing childhood obesity. I’ve always favoured a minimum pricing model linked with education around calorie consumption and awareness of calorie sources for children and adults. Cheap two litre bottles of soft drinks have not disappeared and service stations, more often than not, offer carbonated drinks at the same price or cheaper than bottled water. I profoundly dislike the drive to replace sugar in whole or part with artificial sweeteners; it’s created some very unpleasant beverages I would not want my kids to drink. Everything in moderation and balance I say, and that includes sugar. CT: As a brand how do you deal with the new requirements? WF: At Gusto we look at the sugar tax through the lens of being an organic premium drinks brand that markets their drinks to adults. The tax was predicated on companies being able to reformulate to below the low calorie threshold. The organic industry was either absent or silent in this debate as European organic rules prohibit the use of artificial sweeteners and natural sweetener stevia. We pioneered the use of organic erythritol in our drinks, the only natural zero calorie sweetener permitted by the Soil Association – it’s a great ingredient, with no nasty aftertaste and it’s tooth kind and plant based, we’re only allowed to use 16 grams a litre by EU rules so we can cut around 15-20% of calories, which we do. It doesn’t take us below the low-calorie threshold so the only way we can become sugar tax compliant is to cease being organic certified. For a brand that doesn’t use refined sugar, has drinks that are broadly low on the glycaemic index and that is buying organic certified erythritol at 10 times the cost of organic sugar, being hit up for sugar tax is painful and feels arbitrary and badly thought out. We market drinks to grown-ups who are often finding alternatives to alcohol, all our drinks are less than half the calories of wine or beer, so a sugar tax to combat childhood obesity on Gusto Organic isn’t saving anyone’s waist line, it’s just lining HMRC coffers. CT: Can you tell us about your background and how you came to the beverage industry? WF: Since graduation I followed a path of TV production that led me into running a creative agency with some big food brands as clients. When that agency was sold I swapped sides of the table and went from consulting on brand, design and communication to creating and selling a range of products that have authenticity and integrity. My first love has always been food, flavour and ingredients; Gusto Organic is where a fist full of life’s threads has led. CT: Can you tell us more about Gusto’s approach to creating drinks? WF: Our DNA is very much organic and Fairtrade; we don’t use refined sugar; we market drinks to adults. We don’t use flavour houses or create drinks with focus groups – the drinks we make are the drinks we want to drink and often are the drinks that we have not been able to buy. Our organic cherry cola, which just picked up a Great Taste award, is the first organic cherry cola in the world. Not only is it packed with organic cherry juice and lovely ingredients like Fairtrade Madagascan vanilla, it’s also free from phosphoric acid, a horrible chemical preservative common to big brand cola and one we don’t think should be in the food chain. We’re very ingredients led, love a bit of provenance, if we can use fruit or botanicals grown organically half way up a volcano, we do. CT: Gusto started with an organic energy drink. Energy drinks are more commonly fairly synthetic products, so why do you think people are increasingly looking for organic options in this sector? WF: You can never quite escape the negative connotations of the energy drink classification; more often than not they conjure up products for 49p in convenience stores that are humming with synthetic caffeine, taurine and a range of gut tingling chemical horrors. Our approach to energy has always been along the lines of taste, stimulation and wellbeing. To answer your question more specifically, we live in the age of the conscious consumer. Customers read labels and are increasingly aware and very knowledgeable about what they consume. Why would you want to consume petrochemical derived caffeine, fake vanilla, or artificial sweeteners if there is an alternative that is plant based, organic certified and doesn’t make you feel a little bit sick or jittery after a can? CT: You were voted number one ethical cola in the UK last year. What does an ethical drink mean to you? WF: Our approach to ethical sourcing is to not leave our ethics behind when we buy ingredients grown and processed outside of the EU. We use Fairtrade apple juice, Fairtrade blue agave from Jalisco in Mexico and Fairtrade Madagascan vanilla. 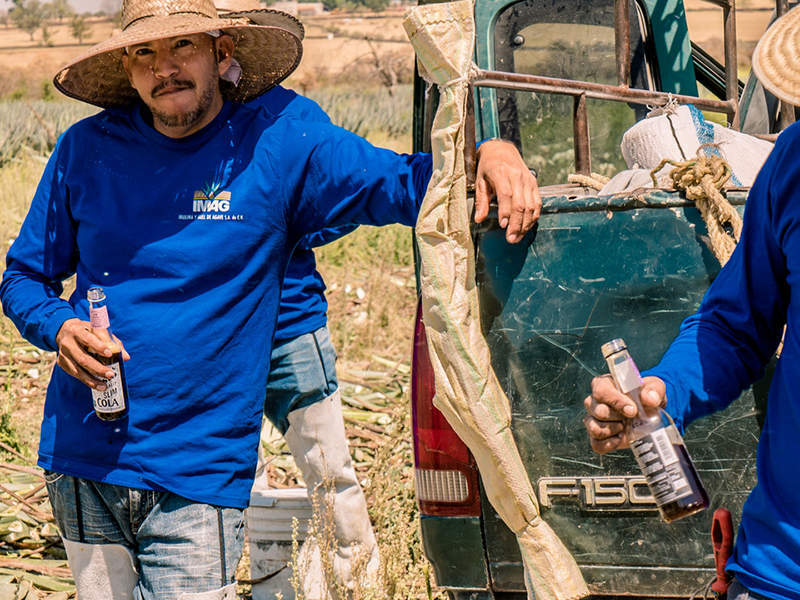 The impact of using Fairtrade is to give farmers and their communities a sustainable future, a fair wage and to ensure the prosperity of their land for future generations. It has been well publicised how farmers in Madagascar are dying for vanilla; crops are plundered or harvested too early, [and] the vanilla price has encouraged criminality. From an entirely pragmatic perspective, buying Fairtrade, aside from supporting rather than exploiting farmers, will guarantee a more reliable and sustainable supply of a better crop. It’s a win for all parties. We are not big virtue signallers as a brand and don’t shout about Fairtrade at every opportunity, we just think a fair price and good terms for farmers should be the norm rather than the exception. Consumers pick up on this, they may be drinking less carbonated drinks, but when they are buying them they are premiumising their selection and looking for integrity and ethics. It’s a strong point of difference from mainstream brands. Fairtrade has its detractors but, at its core, the simple proposition of paying people properly, and supporting workers’ rights, contracts and conditions is the most effective way of raising living standards and improving people lives. CT: You’ve expanded well outside of the UK now, so how is the brand doing overseas? WF: We’ve seen our exports go from three countries to 10 in the course of a year and half. It’s hugely satisfying and very positive for the future of our business. The Nordic region is famously receptive to organics, as is Benelux. Singapore has been a real success for us in 2018 and indicates the potential strength of our brand in this region. What we do find in Europe is a much more serious approach to organics than in the UK – a customer such as Eko Plaza in Holland has 50 or 60 stores, they’re like mini Whole Foods Markets – they will not stock any products in their entire selection that are not organic certified. It creates a level playing field and does not confuse consumers. The UK just does not follow this model, with organic stores mixing in non-organic produce. CT: As the organic sector grows, and more brands are turning towards healthy alternatives, how is Gusto looking to stand out from the competition? WF: We’ve always believed customer’s primary concern is flavour – if we can keep on getting that right and keeping to our core proposition of organic, Fairtrade and refined sugar free then we have a fairly defined point of difference in the market. There is huge scope for a multitude of natural/organic and craft brands to thrive together – the craft non-alcoholic drinks revolution is still in relative infancy, we are going to see greater shelf space devoted to non-alcoholic drinks and adult focused soft drinks in the coming years. This is a good time for challenger premium drinks brands. CT: What’s next for Gusto? WF: More adult soft drinks, wellbeing and gut health, natural sports nutrition, British botanicals and home grown Gusto products. We are based on the 5000 acre Wasing Estate in Berkshire that is in the process of transitioning to organic certification. 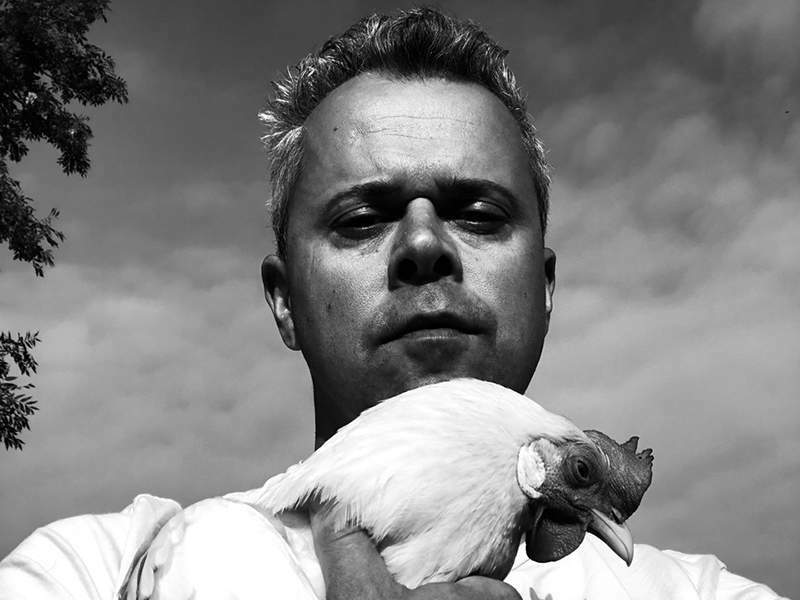 We’re going to be growing ingredients which is hugely exciting. CT: What is the next big drinks trend for the industry? WF: Catering for the non-alcohol drinker is the [drinks] trend for now and the future, expect to see a cornucopia of fermented delights heading to the shelves over the next 24 months. Soft drinks that bring in sharp, bitter or dry flavour notes will become more prevalent.